Victoria, BC – Canadian Sport Institute Pacific (CSI Pacific) affiliated athletes will look to continue Canada’s success in Brazil this summer as they head to Rio to compete in the 2016 Summer Paralympics. The Canadian contingent announced by the Canadian Paralympic Committee earlier this week includes 162 athletes, from which 37 are CSI Pacific-affiliated. This is an increase from the 32 athletes with whom CSI Pacific was affiliated at London 2012. Team Canada will feature 44 athletes with a connection to British Columbia, with 31 listing a hometown in the province and another 13 from across Canada benefiting from services provided by Canadian Sport Institute Pacific or a PacificSport Centre in BC. Canada will be looking to improve on their totals from four years ago where Canadian athletes won 31 medals along with seven gold medals. At London 2012, Team Canada saw its largest success in the pool where swimmers took home 16 medals, including a pair of silver medals from CSI Pacific-affiliated athlete Brianna Nelson. One of the strongest affiliations is with the Wheelchair Rugby team, which trains out of CSI Pacific’s campuses in Vancouver in Victoria. The Canadian Wheelchair Rugby squad won a silver medal at London 2012 and a gold medal at the Parapan American Games in Toronto last summer. The team is ranked No. 1 in the world and is led by one of the sport’s top young players Zak Madell and veteran Trevor Hirschfield. A five-time Olympic medallist and winner of four gold medals, Michelle Stilwell will be a strong podium contender again in Rio. Stillwell – a Member of the Legislative Assembly of British Columbia for Parksville-Qualicum – will be looking to defend her gold medal in the woman’s T52 200m race. She is also the only female Paralympic athlete to ever win gold in two separate summer sports. The 2016 Paralympic Games come just a few weeks after a wildly successful 2016 Olympic Games where Team Canada brought home 22 medals, tying the country’s highest medal total at a non-boycotted Games. CSI Pacific provided support in the past year to 41 of the 61 Canadian athletes that won a medal in Rio. CSI Pacific is sending its largest ever contingent of staff to the 2016 Olympic and Paralympics Games this summer, with 13 staff members from six different disciplines – including one in the broadcast booth – serving national sport partners at the Games. 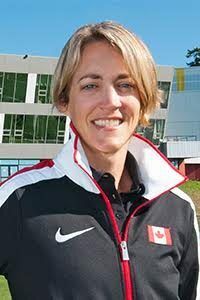 This includes Exercise Physiologist Melissa Lacroix, who will work with Canada’s Wheelchair Rugby team. The Rio 2016 Paralympic Games get underway with the Opening Ceremonies on September 7 for the start of 11 thrilling days of competition. Visit www.csipacific.ca for daily updates and schedule information on CSI-Pacific affiliated athletes throughout the Games.